A fresh take on the iconic leopard print, the Spot On Dress by Gorman is perfect for summer soirées! 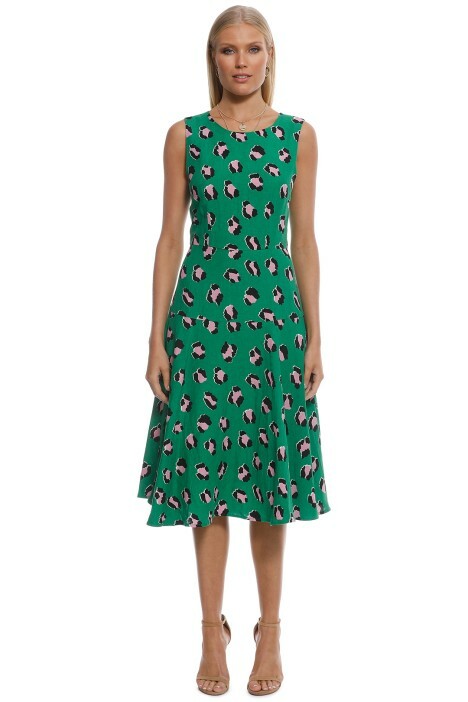 Crafted from a silk and linen blend, the green midi dress features a fitted bodice and a flared circular skirt that finishes just below the knee. Ladylike and elegant, hire it for a daytime function or for a day at the races! Look fresh for your next race day by styling the dress with black strappy sandals and a rented straw fedora. Check out our blog for our top five makeup tips for race day!